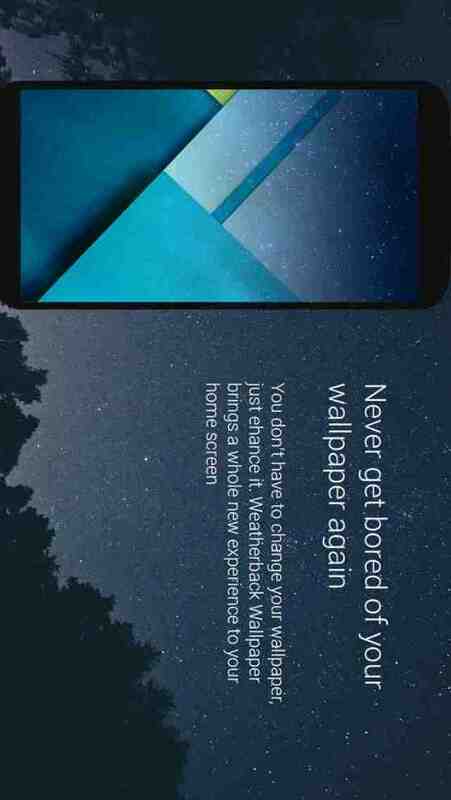 Never get bored of your wallpaper again. 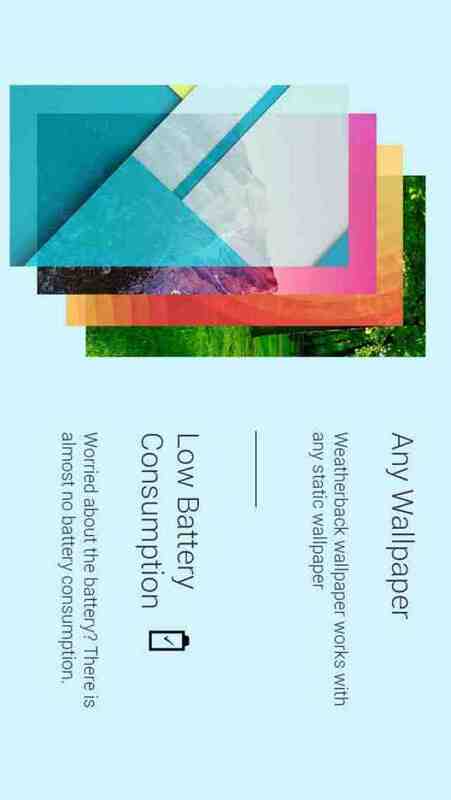 Mix your static wallpaper with the weather effects for a beautiful and artistic experience. 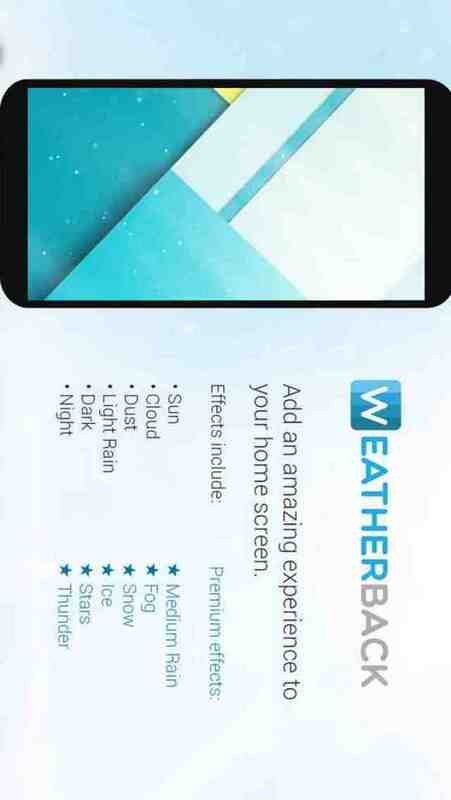 Weatherback Weather Wallpaper is the perfect Android app to add a realistic and beautiful look to your current wallpaper. Just think about rolling over first thing in the morning and seeing the weather with a glance of your phone. 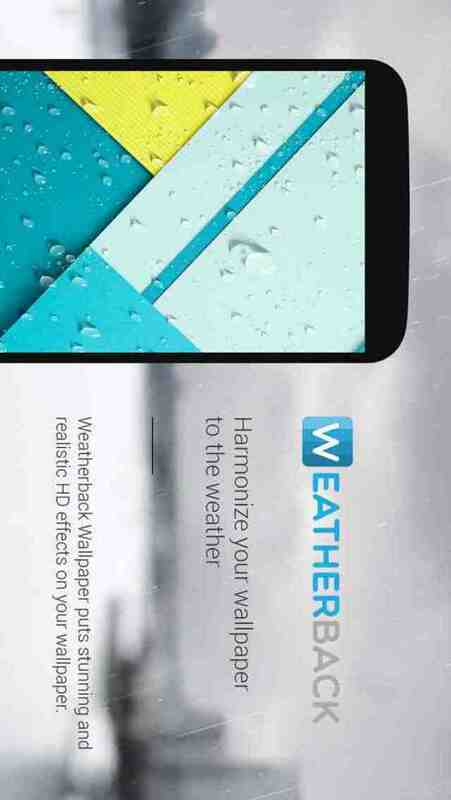 The weather automatically updates as it changes outside and is extremely easy to integrate with your wallpaper, whether it is your phone or tablet.
? Display random effects to show effects that you want instead of following the weather!